The students in Room 26 are learning about boats and building their own for a race on Potter's Pond. 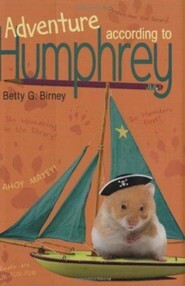 Humphrey the hamster loves dreaming about being a pirate and watching his friends build ships. But when he mistakenly ends up at sea on the day of the boat race, he finds himself in the middle of more adventure than he bargained for! 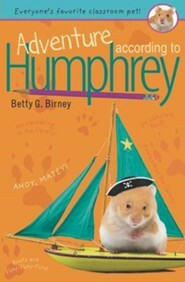 Humphrey is back in this charming story of a hamster on the high seas of hilarity. I'm the author/artist and I want to review Adventure According to Humphrey.